Just two seasons ago the black and gold welcomed Saint Louis to the Siegel Center in hopes of avenging an earlier road loss against what was then the A-10’s top team. The VCU faithful packed the Stu for what was at that time the most anticipated home game of that season, the Rams rewarding the sellout crowd with an exciting 67-56 win. Three years later these two programs couldn’t be any more different. SLU went from first to worst after graduating that talented 2014 senior group recruited by former head coach Rick Majerus and have been attempting to dig themselves out of that hole ever since. At 4-10 the Billikens still have a long ways to go, while VCU will look to simply stay atop the Atlantic 10 standings with another home win tonight, what would be their ninth consecutive win heading into March. 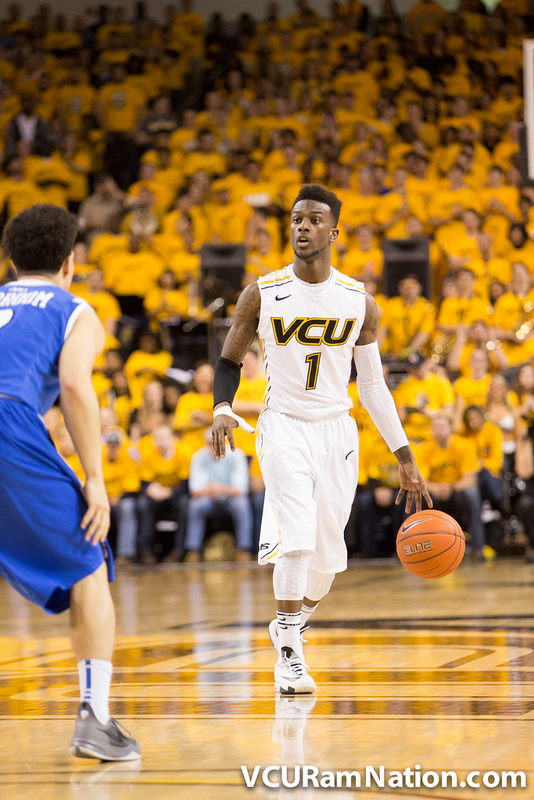 The last time Saint Louis brought a winning team to the Siegel Center was during JeQuan Lewis’ freshman season. After basically tanking the program, Saint Louis let go of former head coach Jim Crews during last season’s A-10 tournament and have begun a new era with former Oklahoma State head coach Travis Ford. Things seemed to be off to the good start with a productive offseason that included some promising recruiting news, but since then it’s been apparent the rebuild won’t come overnight. The Billikens are off to a 4-10 A-10 start thanks to a historically bad offense combined with a defense that hasn’t been much better. The Bills rank 316th nationally in adjusted offensive efficiency (out of 351 schools) and are 221st on the other side of the ball. Only two SLU players are averaging double-digit points this season and one of them, sophomore Jermaine Bishop (11.6 ppg), hasn’t played since early December. Defensively they’ve been even worse than last season’s group, a team that lost to VCU twice including a 33-point VCU home win. Still, Will Wade has cautioned overlooking this group, suggesting their two wins over George Mason proves they may be a trickier team for VCU than some opponents thanks to a defense that like to pack the paint (in theory, stopping VCU’s key offensive strength). Still, statistically there just aren’t a ton of promising signs for SLU, a team coming off a road loss at Fordham where they scored just 40 points. Two players to keep an eye on however are leading scorer Davell Roby (11.7 ppg) and 6’7 senior Reggie Agbeko (8.9 ppg, 7.1 rpg). The duo are the most efficient pair of a high-usage trio that also includes senior Mike Crawford, the team’s current leading shot-taker despite his 27.4% season three-point average. Note: Eight of SLU’s 10 A-10 losses have come by double-digits. SLU currently ranks 14th in A-10 offensive efficiency (out of 14 teams) and 13th in defensive efficiency. Winners of eight straight, VCU has clinched a top-four seed in this year’s A-10 tournament and have a regular season conference title in their sites. Their schedule however will be a difficult one to finish this off, including road games at Dayton and Rhode Island, two of the conference’s top-three teams. Attempting to keep pace with a two-loss Dayton team, the Rams have absolutely no room for error if they want to accomplish that goal. That means holding serve at home is a must and with just two home contests remaining, that starts with SLU tonight. Outside of some questionable defense against Saint Joseph’s, the Rams have been impressive in these last three games, winning all by double-digits including an 11-point road W at Richmond. VCU has been able to win with a shutdown defense or a high-scoring offense this season and during this streak are averaging just under 79 points per contest while giving up just over 67. VCU has been led by the trio of JeQuan Lewis, Mo Alie-Cox and Justin Tillman to become one of the most efficient teams in the conference on both sides of the ball, ranking No.1 currently in conference-only offense and No.2 in A-10 D. What makes this VCU team particularly dangerous is they are beginning to heat up from distance as well. The Rams have hit 45.6% of their 57 threes during these last three contests and if that’s a trend that continues can make this VCU team a squad no one will want to face come tourney time. The Rams win this one if they play like their tournament lives depend on it. Ok, truth be told if they play like that they likely win by 30+, but basically a home loss to Saint Louis would be a resume killer. VCU is sitting in a good spot right now at 26th in the RPI and somewhat comfortably on the right side of the bubble and will need to come out looking to bury Saint Louis tonight to keep the good times rolling. SLU will likely pack the paint in order to attempt to stop VCU’s onslaught of the iron, but if the Rams find any bit of success against that, it should be a long night for Travis Ford and Co.
A Billikens win tonight would be an upset of epic proportions, meaning a lot will have to go right for them and wrong for VCU. The first key will be to keep VCU from going off in the paint. If SLU can limit the Rams to around the 41.7% two-point shooting they held Mason to in their first win over the Patriots, that’s a good start. After that they’ll need threes falling from a team that’s been pretty bad from beyond the arc. SLU ranks 206th nationally in three-point percentage but take about 40% of their attempts from beyond the arc. You get those falling and combine it with a little defense and you’ve got a shot against almost anyone. Again, the numbers suggest that’s not something SLU is all that capable of doing, but that’ll be the plan at least. Kenpom: 75-54 VCU win with an 97% chance of a Rams victory. Watch: American Sports Network (click link to stream for free), Official game day headquarters are Baja Bean Co. in the Fan and Buffalo Wild Wings locations at Virginia Center and downtown on Cary Street in Shockoe Bottom.